All of us in our faith journey have experienced times of incredible emotional change as we attempt to follow Jesus. The Christian life can be fun, exciting and full of Joy. There are times when we are hungry for more of God, his word or his touch in our lives. Sometimes we feel completely dried up, exhausted and run down. Other times the Christian life is riddled with change, frustrations, fears and doubts. This is normal and should be expected. Many times we get frustrated at the massive changes we can experience as followers of Christ. We mistakenly assume that the Christian life should be somehow easy. Sometimes that’s even what we have been told by well meaning preachers but in practical reality this is simply not true. The Christian life is a series of ups and downs, a series of triumphs and defeats. Jesus speaks of both trials and peace as he describes what it is like to be his followers. While we were praying about this year’s curriculum God gave me a picture of a great tree standing in a field. As I watched this tree wander through the seasons I realized that God was painting a picture of what it is like to be a Christian. I see it like this: Springtime is a time where we experience new life, new perspectives, new growth. It’s a time in our lives where we make new commitments, bold declarations and are generally On Fire for God. As we all know, that feeling doesn’t last. Summertime in the seasons of life is a time of calm and peace. It’s a lot less frantic. It’s simply a time of experiencing God’s love and faithfulness in your own life. Some people experience this while on a youth retreat, an extended missions trip or during a year at bible college. Autumn is the time of preparation for winter. It’s a time for forming healthy habits and preparing our hearts for the difficult season to come. In our spiritual life this means filling up our minds and hearts with the word of God. During this season of life get prepared for the changes and the difficulties to come by forming the spiritual habits you will need to deal with the hardships that are just around the corner. Finally, Winter is a dark and difficult time in our spiritual lives. All of us face hardships and struggles as we wander through this life. There will always be changes in our lives that throw us for a loop. There will also be times when we struggle with our faith or our beliefs. Strangely enough our experiences in the other seasons will help us as we struggle through the season of winter. Over the next few weeks as I preach through this series I will be expanding upon this concept on my blog. 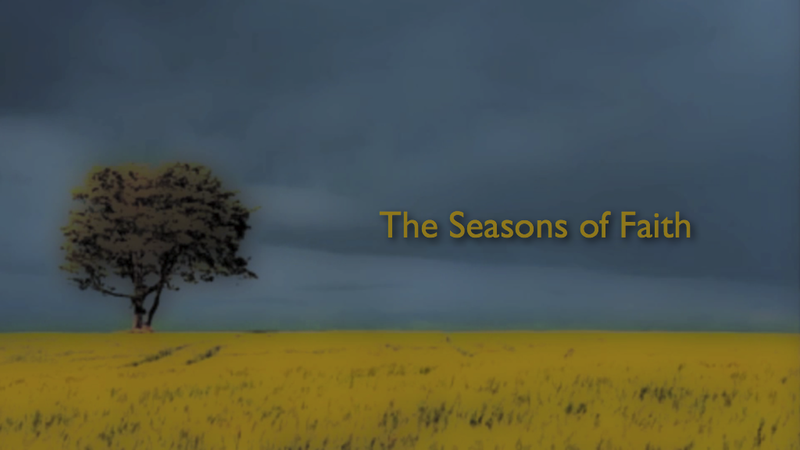 I pray that this series will bring encourage to you in your walk with Christ no matter which season you are currently in. I checked out the website and yes it is very similar. Thanks for reading my blog.